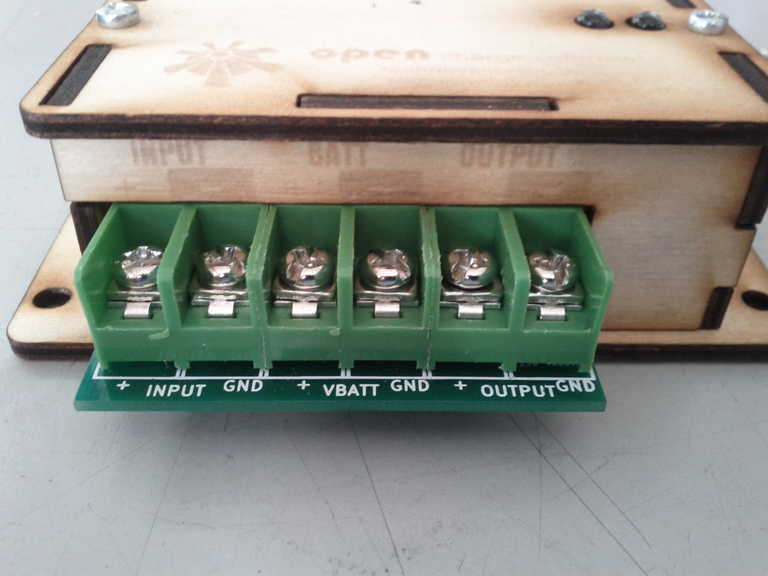 Here are a few photos of the prototype of the open charge controller project. I have recently got the second version of the PCBs and have designed a simple case for it. I’m in the process of testing all the functions and finishing off the software algorithms for it. Its based around an ATtiny85 microcontroller and is programmed using the Arduino IDE using an Arduino as an ISP. 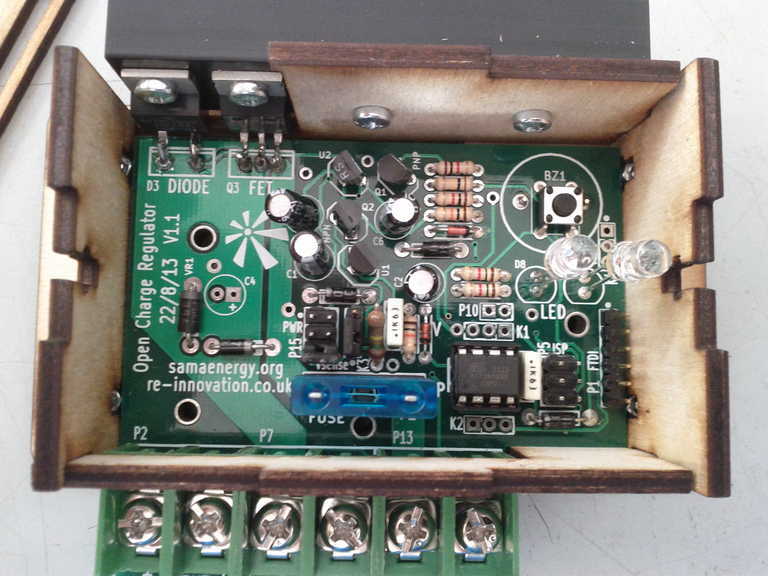 I’m trying to update the charge controller project pages with all the build details. 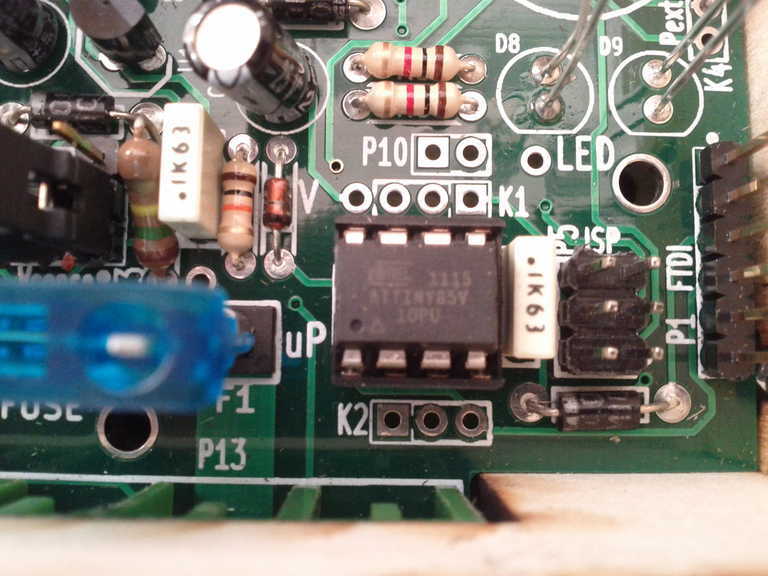 Here is the ‘brains’ of the unit – an ATtiny85 microcontroller. The 3×2 ISP connector next to it is for programming. A heatsink is used on the top of the unit. 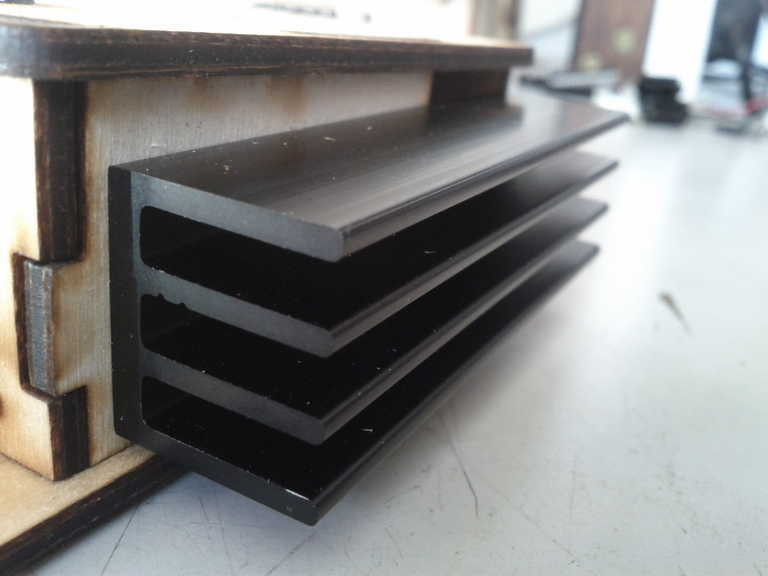 It is designed to cope with 20A continuous, hence the need for a heatsink.